How can you get more referrals in your communities? 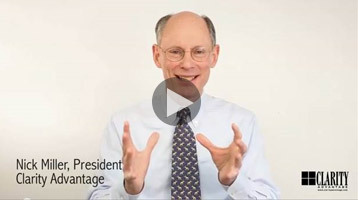 According to Clarity Advantage President Nick Miller and his colleague, Michael Katz of Blue Penguin Development, by positioning yourself as a “likeable expert.” In this video, Nick shares their tips for becoming a “likeable expert” and attracting more referrals to you. For any director with a little lucidity, masterpieces are films that come to you by accident.